A/Prof Tim Cavagnaro. I am a soil ecologist. My main interest in discovering the role of soil ecological processes in providing ecosystems services, and our impacts upon them. Ultimately my goal is to develop ways in which we can translate complex soil ecological knowledge into forms that can be used by land managers. I am currently an ARC Future Fellow. Rebecca Stonor (Lab Manager): I am a technical officer in the School of Ag., Food and Wine. I manage and support the Soil Ecology Laboratory. My other area of interest is promoting workplace health, safety and wellbeing. I am a University Ecoleader which involves initiatives to promote and achieve workplance sustainability. Dr Stephanie Watts-Williams (Ramsay Research Fellow): I enjoy conducting research on the plant-fungal symbiosis known as arbuscular mycorrhizas, especially investigating how they can improve plant zinc and phosphorus nutrition on nutrient-depleted soils. 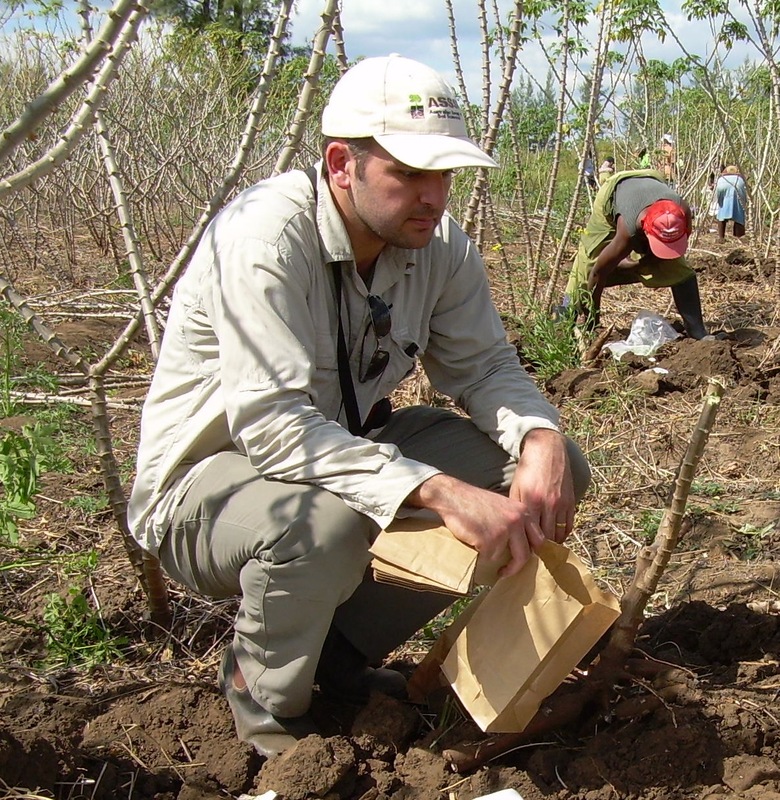 I am particularly interested in the potential agricultural applications of arbuscular mycorrhizas, and use important crops as model species in my research. My current research at The University of Adelaide involves understanding how the mycorrhizal pathway of Zn uptake functions – a problem I began working on during my PhD. Although we have a fundamental understanding of how plants acquire phosphate (Pi) via symbiosis with mycorrhizal fungi, very little research has been conducted to uncover the mechanisms (genes, transporters) that underlie the transport of Zn from fungi to plant, presumably across the peri-arbuscular membrane. We have shown through radioisotope tracking that plants can acquire Zn via the mycorrhizal pathway, so the next step will be to uncover the genes that regulate this process. To do this, I am using barley as a model plant species, due to its relevance to Australian agriculture. In some experiments I also use Medicago truncatula, an important pasture legume in Australia. Jess Mackay (PhD Candidate): As nutrients become increasingly scarce and expensive, we need to find innovative ways to supply grain crops with the nutrients they need in order to maximise production. I am investigating the potential to supply nutrients to crops as organic amendments, and the role of mycorrhizas in acquiring those nutrients. Emphasis will be placed on quantifying the capacity of mycorrhizas to take up nutrients from soil, and to deliver them to plants. My project will provide currently lacking data on the potential for organic amendments to be used to supply nutrients to grain crops. My project is funded by the Grain Research and Development Corporation. Annie Bond (M.Phil Candidate): I am an ecologist with 15 years industry experience. I’m interested in the management of agricultural landscapes for ecosystem service provision. My project focuses on the impact of market based incentives on land managers, native vegetation and carbon sequestration. Olivia Cousins (PhD Candidate): I am undertaking a joint PhD program with University of Adelaide and University of Nottingham. I am investigating how soil N cycling and soil microbiomes affects the ability of selected wheat varieties to tolerate varying combinations of N and water stresses. Christina Asanopouos (PhD Candidate): My background is in Marine Biology. I have 4 years experience working on soil C and N cycling. My research, which is on estuarine C sequestration, aims to investigate ‘blue carbon’ in mangrove and salt marsh sediments. Addition I will assess the impacts of surrounding land use on these systems and their biogeochemistry. 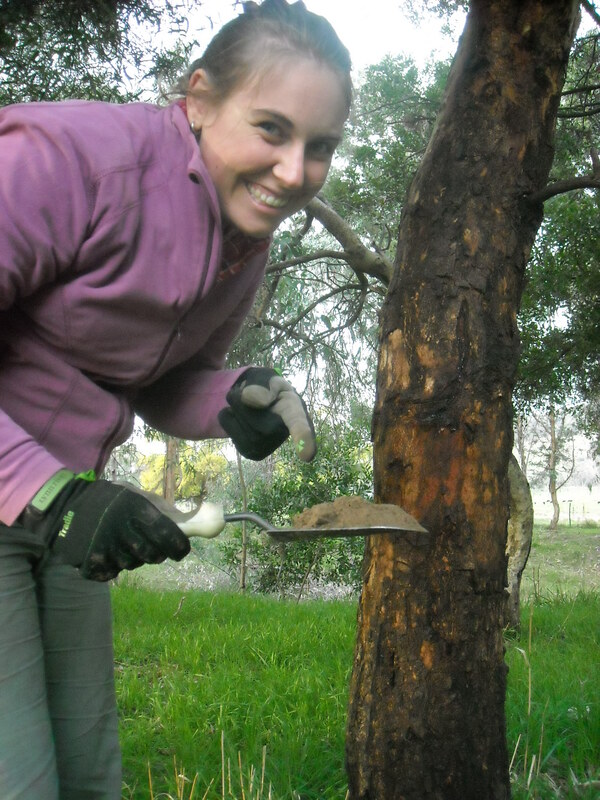 Erinne Stirling (PhD Candidate): My PhD project is concerned with the effects of the Sampson Flat Bushfire on native and pine forest soils from ForestrySA’s Old Kersbrook Forest reserves. In particular, I am researching changes in soil nutrient cycling and the effects of scorching on the leaf litter layer. I previously worked in blue carbon cycling in salt marshes, and with charcoal based paleaolimnology. In addition to these research areas, I am also interested in effective science communication. Stephen Lang (Honours Candidate): I am an honours student with background in agricultural science and international studies. My honours project explores techniques for low-cost irrigation by using the physical properties of soil to regulate water release.